In case you're still wondering, yes, the scrunchie is back. The hard-to-miss hair accessory that was something of a requisite in the '80s and still relevant in the '90s has reemerged from its lengthy hiatus that commenced sometime around the early aughts. 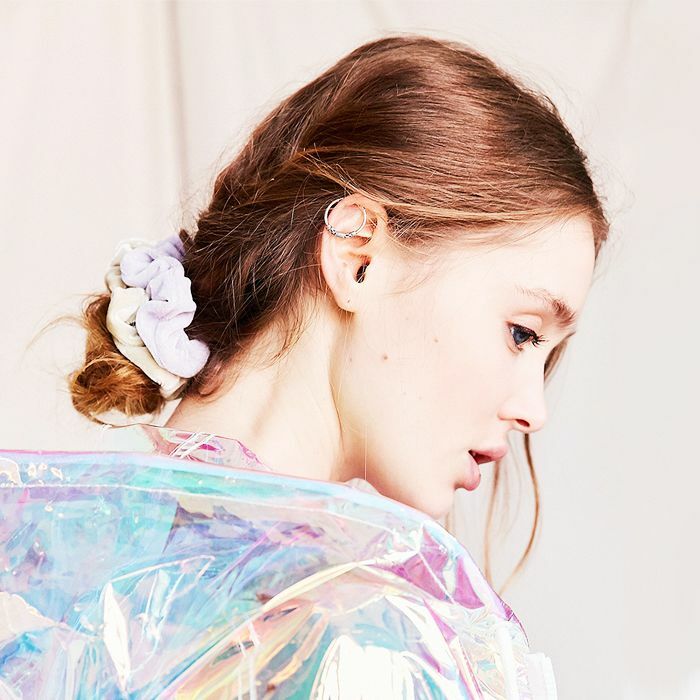 Just as everything from the end of the 20th century is suddenly chic again, the scrunchie too has made its way back into favor among the fashion set. In 2014, The New York Times acknowledged how the iconic '80s hair accessory had risen from the ashes and worked its way back onto the heads of fashion girls in more adult stylings, in a piece aptly titled "The Scrunchie Grows Up." Gargantuan iterations reminiscent of the scrunchie's earliest days have appeared on the runways of Chanel while subtler options are popping up in stores (and being sported by It girls) with increasing frequency. Wondering where to buy scrunchies? Believe it or not, some of your favorite fast-fashion stores are already carrying the throwback staple. Whether you're looking to channel your favorite scrunchie-wearing greats from real life and fiction—such as Clarissa Explains It All, Heathers, or Hillary Clinton (who has even joked that an alternative title to her memoir could have been The Scrunchie Chronicles)—the perfect scrunchie is just a click away. Head below to see where to buy scrunchies today and rebuild your collection. With the retailer's love for all things '80s and '90s, it should come as little surprise it has an impressive scrunchie offering. From velvet versions to sequined to metallic to fluffy (think Britney Spears in …Baby One More Time), there's something for everyone (or every day of the week). Free People's scrunchie lineup is a tad more sophisticated. The same fabrications are available—velvet and sequins—but some other standout styles include silk brocade with ornate designs, embroidered mesh in a floral overlay, metallic brocade, and faux fur. 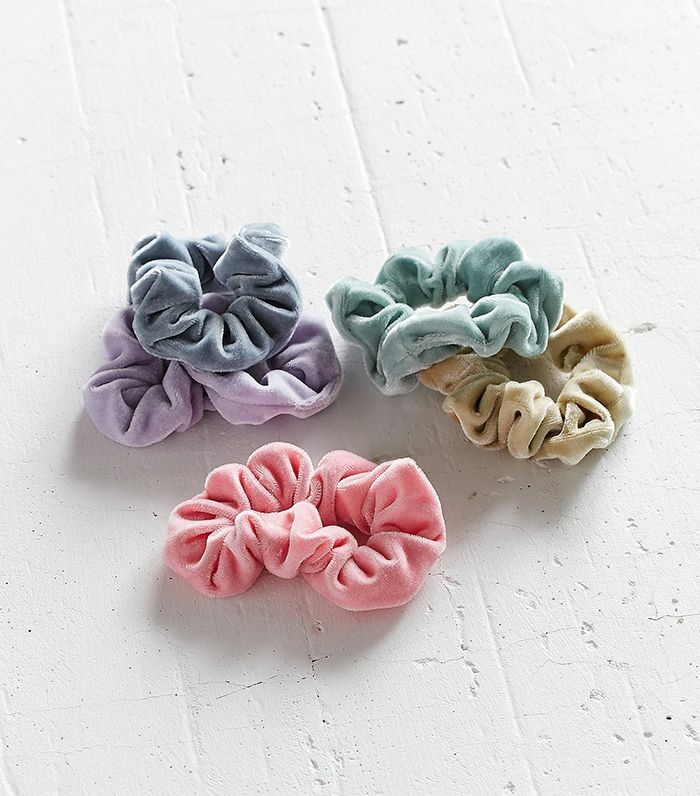 If you're seeking out something casual to throw up your hair for the gym or a laid-back look, look no further than Target for your everyday scrunchie needs. Since 2010, ASOS has teamed up with the charitable initiative clothing workshop Soko Kenya. Their ASOS Made in Kenya collection incorporates designs from local wildlife, like the leopard design in this two-pack. In tune with its recent '80s fashion revival, Topshop offers up festive mini glitter hair scrunchies, crinkled velvet variations, and multicolored sequins. Want even more nostalgia? Check out the best '80s fashion looks.